I believe that sharing Christ with African American Muslims is not as complicated as some would have you think, for it primarily consists of clearly communicating the gospel (death, burial and the resurrection of the Lord Jesus) in terms that are logical to the audience. Once the content has clearly been communicated, a germination time is needed for the illumination of the Holy Spirit to cause the information to bear fruit. Then from the overflow of the heart the mouth will speak and give the assessment needed to know if it is necessary to get them involved in personal Bible study or not. Therefore in discussing the gospel with an African American Muslim, my focus is on penetrating the belief system of the Muslim – for if I change what they believe, I will change what they do. When I first approach an African American Muslim, I remove all preconceived ideas about sharing the gospel. African American Muslims have embraced a belief system centered around the social environment of their religious community, therefore the security of their faith is trapped in the “philosophical doctrine” of a leader of a group, not a historical idea of the works of Muhammad. In reaction to this, I use an apologetic approach to sharing the gospel with an African American Muslim. In the Islamic belief system there are two components that need to be targeted. 2. Stereotypes – which are social trends picked up through community activity that influence decision making. These two components provide the essential elements of the person’s identity. 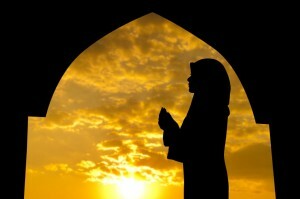 The identity of a Muslim provides self-worth. To be successful in sharing Christ, one must transfer these two components safely from the deceptive identity of Islam to a solid identity in Jesus Christ. Therefore, one must focus on disrupting the paradigm by causing newly acquired reason to question old logic, thereby shaking up the stereotypical idea about Christ installed by the leadership of the Muslim faith. Since most African Americans are co-dependent on some type of social leadership and identify with it to some degree, success lies in reshaping old patterns of thought. When I approach an African American Muslim, most of the time I begin by asking, “How did you get involved in Islam?” The answer to this question gives me the information I need to make my spiritual assessment. The spiritual assessment is the insight given to me by the Holy Spirit for the purpose of engaging the person successfully with the gospel. Their interest or desire in the Islamic religion will determine how I target the belief system. My spiritual assessment includes knowing how long the person has been under the influence of Islam. This helps me understand how much data is in the paradigm. Sometimes asking people what they enjoy about Islam causes them to think I am interested. Their level of passion displays the amount of substance that is in their identity. (Note: I always check on the well-being of the Imam or the Minister of the Mosque.) Lastly, I move to the topic of eternal destiny by asking what surety they have of arriving safely into their destiny, what happens to them while they are there and what resource they use to get this information. This normally causes them to struggle and opens the door for me to start the invasion with my confidence.